When you think of summer you think of sunshine, high temperatures, packed beaches, swimming and refreshing cocktails. 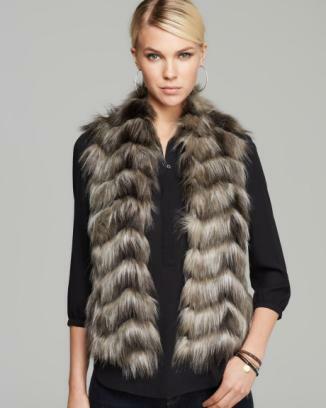 It would be highly unlikely to think of fur, wouldn’t it? Fur is a material used primarily to create coats to keep you warm during winter time. It is not surprising that people in countries like Russia where winter is really cold are great fur-lovers. Still, if you look on the fashion trends of spring/summer 2014 you will notice that designers presented fur in their collections. Yes, you read correctly. Summer fur is a reality, albeit a little weird for some. Still, is it actually possible to wear it any other season besides winter and maybe late autumn? Whoever follows fashion trends knows that designers like to go a bit (ok, maybe a lot) over the top but simultaneously they often try to keep their feet on the ground. Designers that incorporated fur in their spring/summer 2014 catwalks opted for fur coats but they also went a step further. Miuccia Prada chose to stay put on the classic fur-as-a-coat trend and play with the colors. She presented multi colored mix fur coats for her Prada spring/summer collection whereas for Miu Miu she choose a more delicate color palette of soft pinks. Versace Haute Couture spring collection also presented fur coats in snow-white and electric blue as well as long scarves in pastel colors. 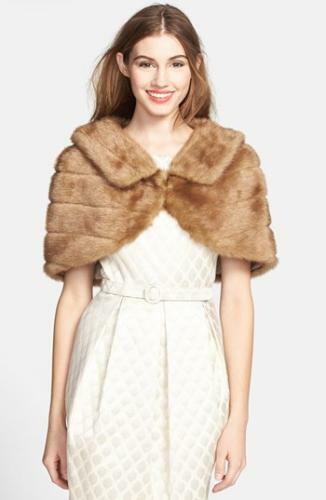 A trend that women seem to have embraced no matter what the season is the bolero. Easy to wear and keeps you warm without the bulk of a long coat, jacket or even cardigan. 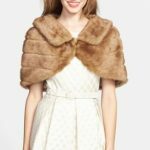 Tom Ford and Michael Kors chose to contrast the smoothness of a fur bolero with the transparency of chiffon and the result was spectacular; the perfect choice for a formal event. For those that think that a coat can be a bit too warm, Roberto Cavalli and Sonia Rykiel offered the option of stole to wear on one shoulder and the extra voluminous scarf, both super feminine and cozy. 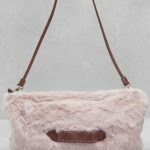 Giambattista Valli, on the other hand, opted for fur details in his collection like fur sleeves on spring jackets and Fendi, who loves fur and presented it 2013 collection too, decorated bags with it. Finally, Vionnet created casual and easy to wear fur shirts in soft lilac, a cult piece as many fashion editors said. To wear fur all year round, though, you need to think outside of the box. 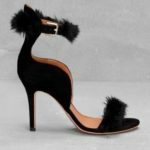 While not many jaws dropped during the presentation of fur at spring/summer 2014 catwalks (people attending fashion shows are used on seeing almost anything up there), there might be a few peculiar looks towards you if you decide to incorporate this trend in your spring/summer wardrobe. Why? Because people are not used in seeing fur unless it is really cold outside. So, unless you are prepared for a few extra stares towards you, you should better avoid this trend. 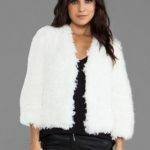 While it is not possible to wear fur while vacationing in Tenerife or the Greek islands in the middle of August, northern countries, like Denmark, where the wind is always blowing and the nights are colder, can incorporate fur during summer wonderfully. Of course, women in warm countries are not excluded from this trend. I live in Greece where summer is really warm and I love fur. So, it shouldn’t come as a surprise if you spot me out and about wearing my monochrome fur bag or a pair of brown shaved fur shoes. As I said “me-love-fur”. In their fashion shows, unfortunately, designers most frequently use real fur. Even though I love fur I cannot wear a real one. 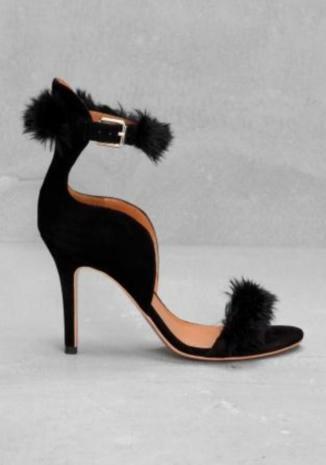 I have to be honest and say that I secretly pray for the discovery of a way that would enable us to wear real fur without actually causing all this torture to the animals from which the fur is being stolen from. But there can be no such way and animals should NOT be the victims of human fashion. 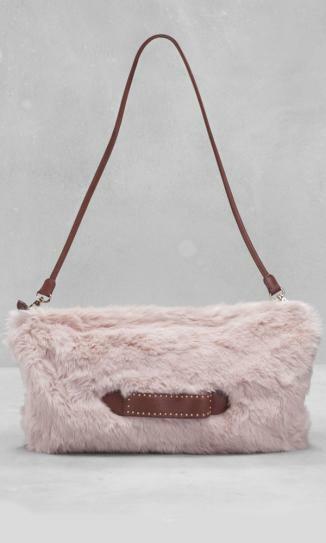 The alternative is faux fur. 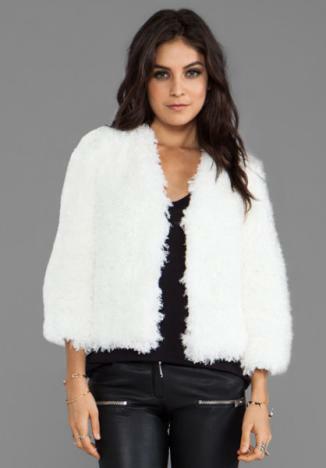 In the past faux fur could be absolutely hideous but nowadays faux look and feel exactly like the real thing. So, please, next time you go for the real thing, think again. We, women have the option of faux whereas animals don’t!